I’m reposting this article from Ian Wilson’s blog, as it is highly relevant to the discussion in the previous post regarding solar rotation. Ian’s (Ninderthana’s) work is much more advanced than mine on this subject and the inter-relations he has been discovering lend more weight to our tentative hypothesis that the planets are affecting the Sun’s fluid circulations. Ian is here concentrating on possible planetary tidal effects. In comments to this article on his blog, Ray Tomes mentions his GR theory (direct gravitational effect). Charles Wolff (Wolff and Patrone) in email to me said both these forces are operative. Figure 1 (left) is a cross-section of the Sun showing the rotational periods of a section of it’s interior. The rotation rates range from about 34.0 days near the poles to about 25.2 days in the Sun’s equatorial convective zone. The dotted line that is located ~ 0.7 solar radii out from the centre of the Sun marks the positions the Solar Tachocline. This represents the boundary between the core of the Sun, were the main form of energy transport is by radiation, and the outer convective layer of the Sun, where the main form of energy transport is by convection. 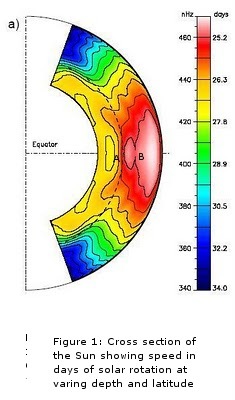 Figure 1 shows that mean rotation period at a point just below the equatorial Tachocline is ~ 26.3 days, while the mean rotation period in the equatorial mid-convective layer is ~ 25.2 days.Amazingly, if the rotation period of the point just below the equatorial Tachocline was in fact 26.3365 days, you would get an amplified resonance between the tides of the two dominant tidal forcing Terrestrial planets, Venus and Earth. acting on the convective layers of the Sun to be significantly amplified, so that they become influential in the dynamic process in the outer layers of the Sun. with realignment errors of 1 to 3 days. files.sinwt.ru no longer seems to be hosting the file. truths, verily for I have seen them with mine own eyes. Yes thanks for that but you could have revealed the website name though. It isn’t a secret. We have linked to this webpage. This article about Solar Tides and relationship with Earth & Venus is very interesting in its own right, and would seem to be in synergy with the ideas of Piers Corbyn of Weatheraction. At the Fraudulent climate website we have a whole page dedicated to the work and predicions of Piers Corbyn, with several videos of the man himself. We have literally Hundreds of full feature length videos and audio recordings. Lectures, talkshows, demonstrations, arcane and esoteric videos. Thanks for the heads-up on “Climategate II”, Tallbloke. So………..who is FOIA???? This is all fantastically intriguing. i hope he can drive a car like James Bond!! Regarding this thread. I’d be interested to hear what Leif might say about this. It’s been a while since there was a juicy solar thread. Now we know CO2 has nowt to do with anything, all eyes back on the fiery ball.